The NROL-37 ‘Mentor’ eavesdropping satellite has been located near Malaysia. Last week, the U.S. National Reconnaissance Office launched NROL-37, carrying its latest spy satellite into geosynchronous orbit via Delta IV-Heavy rocket. But it only took amateur space enthusiasts a few days to locate the mysterious new craft in the skies near Malaysia, over the Strait of Malacca. While the contents and capabilities of the NROL-37 mission's payload are classified (the satellite is innocuously labeled US-268), its need to hitch a ride on the world's biggest rocket strongly suggests it is the seventh member of the Mentor/Orion family, an extra-large class of signals intelligence (SIGINT) satellites which help provide eavesdropping capability to US intelligence agencies. In their observations, the satellite tracking crew found that the spacecraft seems to be drifting west to its fixed geosynchronous position. Lanbroek speculates it will eventually stop near somewhere over Central Africa or Sri Lanka. "The reason for the initial placement near 104 E is likely that in this position it is initially well placed for the Pine Gap Joint Defense Facility ground station in central Australia (one of two facilities dedicated to NRO SIGINT payloads) during the initial check-out phase," writes Langbroek. Previous NRO launches have carried many other spy satellites, including NROL-39, which became infamous in 2013 for the ominous imagery on its mission patch: an octopus strangling the world above the phrase "Nothing Is Beyond Our Reach." 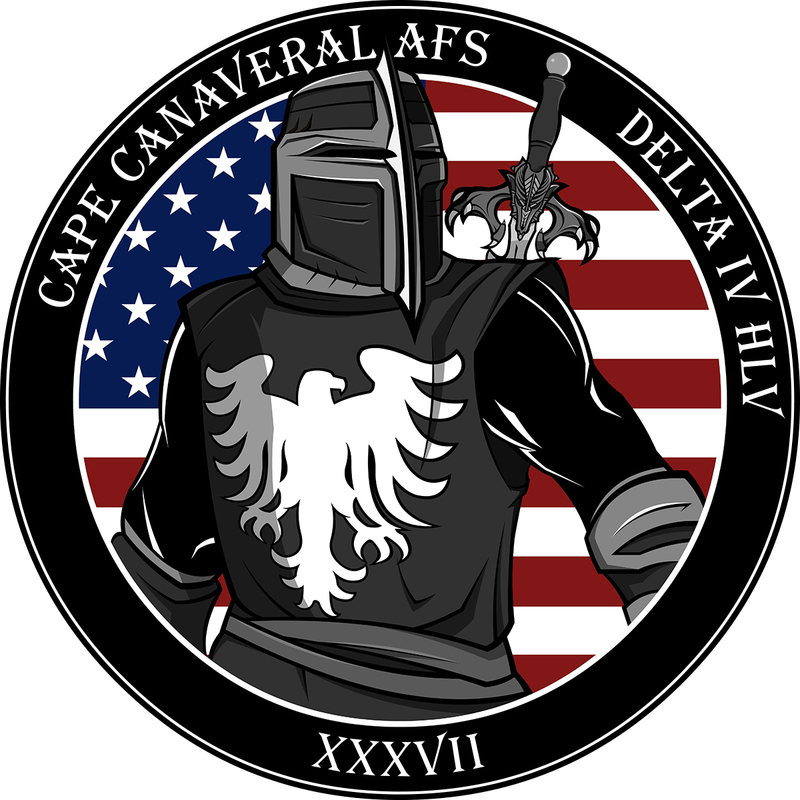 NROL-37 also has somewhat-eerie branding, sporting a black-garbed knight with an eagle-claw sword hilt which according to the NRO is meant to represent "extreme reach with global coverage."